A ferociously sharp comic romance about a love affair between a schizophrenic and a manic depressive who meet in a psychiatric institution. 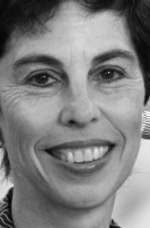 Robin Farber lives in a psychiatric institution. In her mind, she creates the world by looking at it: a quantum theory-world where matter pops in and out of existence as she observes it, a world where she is God. And, because the reader of Banana Kiss must take a long look through her schizophrenic eyes, this is our world, too, a world where the disembodied voices Robin hears are more real than the people who stand in front of her. Robin’s world is populated by a rich variety of characters, both real and imaginary. Her father, a sailor who died when she was a baby, shows up in her head whenever he’s on leave. Derek, her charming, lovelorn friend, goes from mania to depression and back several times a day. There’s her insufferable sister Melissa, who stole her boyfriend, Max. And, of course, there’s Dr Mankiewicz, or ‘Whitecoat’, the long-suffering therapist who, Robin tells us, ‘thinks there are some things that are real, and some things that are not, and that he knows better than anyone else.’ Finally, there is Robin herself, whose confused, psychotic, funny, compassionate voice is one you are not likely to forget. 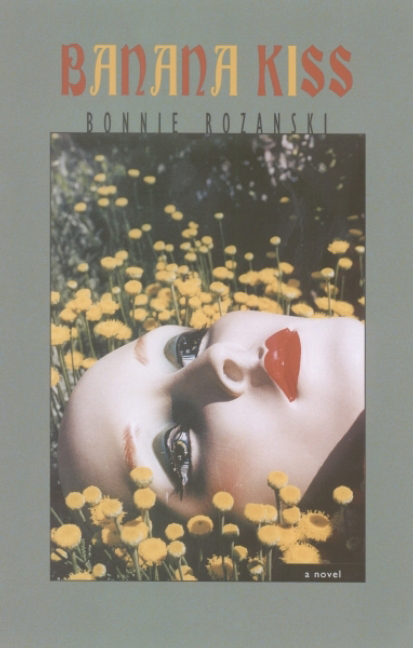 ‘In her debut novel, Banana Kiss, New Jerseyite Bonnie Rozanski explores the world through -- and behind -- the eyes of Robin Farber, a young woman hospitalized with schizophrenia. It’s a harrowing experience, but emotionally immediate, as lucidity blends with delusion, and reality shares space with fantasies and horrors drawn from Robin’s dreams and memories. Rozanski, a University of Guelph graduate, sharply renders both Robin’s internal world, at a tangent from reality, and her physical world, surrounded by family (including her insidious sister, who is about to marry Robin’s former lover, Max), fellow travellers (including the dynamic Derek, whose manic depression is accelerated to a crippling degree) and medical professionals, who treat Robin with a kindness and gentleness at odds with her perception of them. ‘Rozanski writes with a keen-edged, cool precision. The tone is distinct from Robin’s hysteria, but allows a unique perspective into her mind as she struggles through daily life and tries first to avoid, then to reconcile herself with, the events and traumas that led to her collapse and hospitalization. ‘The world of Robin’s delusions is presented as oddly inviting, a comforting realm of supportive and encouraging voices, including that of her father, a sailor who died when Robin was an infant. Bonnie Rozanski currently resides in New Jersey, but has lived all over the United States and Canada. She has degrees from the University of Pennsylvania, Adelphi University (Garden City, Long Island) and the University of Guelph, and worked in both academia and business before deciding to return to her first love, writing. She has written several books in which scientific issues inform the plots, as well as two prize-winning plays.